Alpha Limousine Service located in Zug, Switzerland's business center hosting over 200.000 companies from all over the world, has been providing business limousine service since 2003. 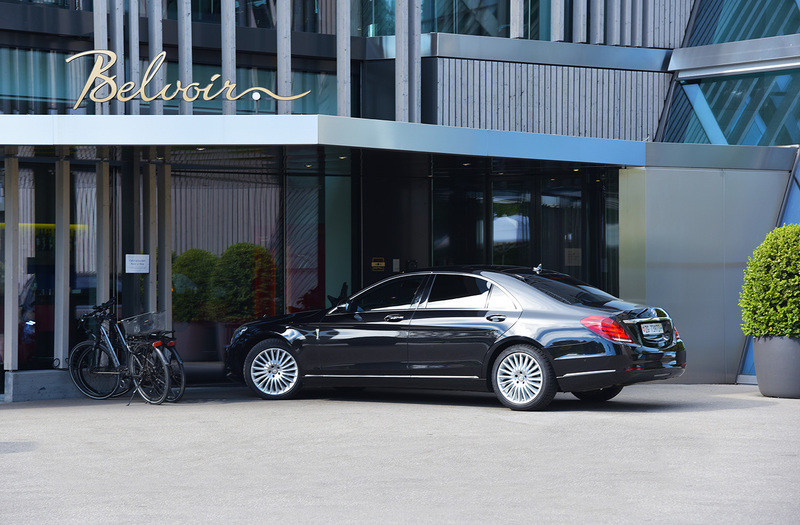 We have developed into one of the most reputable limousine companies, gaining the leading role in ground transportation in Zug and the region. We are specialized in corporate transportation needs, from simple airport transfers to corporate events. We have a long-standing partnership with some of the most prominent companies headquartered in Zug. And we gladly provide logistic support for errands, transfers, events, and parties. With our latest models of Mercedes Benz vehicles, and professional code dressed drivers we stand up to the highest level our clients need, and demand. We are available for our clients 24/7, all year round. AlphaZug is reliable and experienced transportation service provider with over 15 years of experience effectively performing a wide array of limousine services for corporate clients coming to Switzerland from all corners of the globe. Our hourly service enables you to have a chauffeured limousine at your disposal for corporate or leisure activities – wherever you need to go, your vehicle will be waiting for you. Choose our high-quality point-to-point service should you need to be chauffeured from one point to another, regardless of the occasion or size of your group. Book your high-grade private transfer service and our chauffeur will pick you up and drop you off at any point of your choice in Switzerland and neighboring countries.